Fare thee well April, it's been fun. Join me in song and dance while we usher in Eastward May, named after Maia, the Greek goddess of fertility, spring and growth. Around the world, folks will be celebrating May Day as well as May the Fourth be with you, Cinco de Mayo, Mother's day, Armed Forces day, Victoria day and Memorial Day. Let's not forget the Kentucky Derby, Frog Jumping Day in honor of Mark Twain's The Celebrated Jumping Frog of Calaveras County, International Jazz day or the beginning of Ramadan. Our birthstone of the month is Emerald. You may choose to spell out the word, reading one book per letter or read a book with the name or the colors of the stone in the title. Or perhaps find an author whose name is Emerald or Beryl since it is in the beryl mineral family. You may decide to find a book set in the time period where the birthstone was discovered or surrounding the myth and lore or set in countries where the birthstone is currently found. Emeralds are ancient minerals discovered in Egypt, way back in 330 BC and Cleopatra's favorite gemstone. Legends tell of the stone being one of four precious stones given by God to King Solomon endowing him with power over all creation. The green of the emerald is a sign of spring and also believed to protect the wearer from evil spirits. Ancient Egyptians believed the stone could ease childbirth and also buried Mummies with the stone in hopes of bringing them eternal youth. Also found in Columbia, the emeralds were used by the Incas for religious ceremonies. After the Spanish invaded in the 1600's, they began to trade the stones in Europe and Asia. Presently Emeralds are mined in Columbia and Brazil, Zambia and Zimbabwe, the Ural Mountains in Russia, Afghanistan, Pakistan, and China. Jaipur, India has become the leading cutting and trading center of emeralds in the world. Our armchair travels are taking us to Eastern Europe this month. Exactly where does Eastern Europe begin? Depends on who you ask, whether you get a political, historical or geographical answer. Rick Steves discusses The Former Eastern Europe as well as the 'Gypsy Question.' 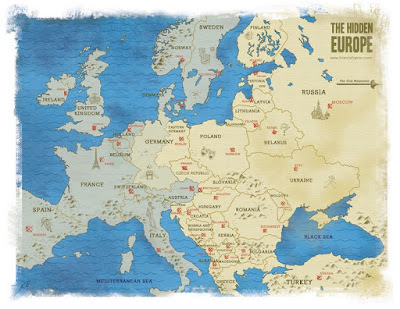 Francis Tapon in his Hidden Europe ponders where is Eastern Europe and what countries are in it. We can travel in high style part of the way taking a river cruise on board one of Emerald Waterways luxury ships from Budapest to Bucharest. We can also follow Rick Steves Best of Eastern Europe in 14 Days tour. From history to science to food to outer space, there are plenty of rabbit trails, heavy or light to travel as you read your way through Eastern Europe. Follow your own path and see where it takes you. 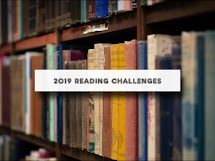 Our author flavor of the month is W. Somerset Maugham and we'll be diving into Razor's Edge which Jane from our Well Trained Mind 52 Books group will be talking about next week.